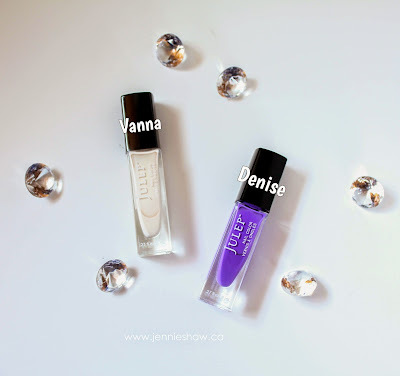 My Julep Maven box came on Tuesday of this week, and I was so freaking excited about their latest purple Denise, that I could hardly get the box open fast enough. But, can you blame me? I immediately knew I wanted to do something sparkly with these two babies (shocker, I know, haha! ), so I grabbed my rhinestones and got to work. I did two coats of Denise, and three (#sadface) coats of Vanna, to start, and then added dots of Denise onto my feature finger, followed by the jewels. So simple yet SO SPARKLY! Yay for sparkles! Haha! But, all in all, I'm happy with how this mani came out. Denise is definitely a polish that I'll be obsessed with for the next little while, because it's such a fun, rich and vibrant purple. You've been warned. Haha! Happy Mother's Day, this weekend, to all of the mommas out there! 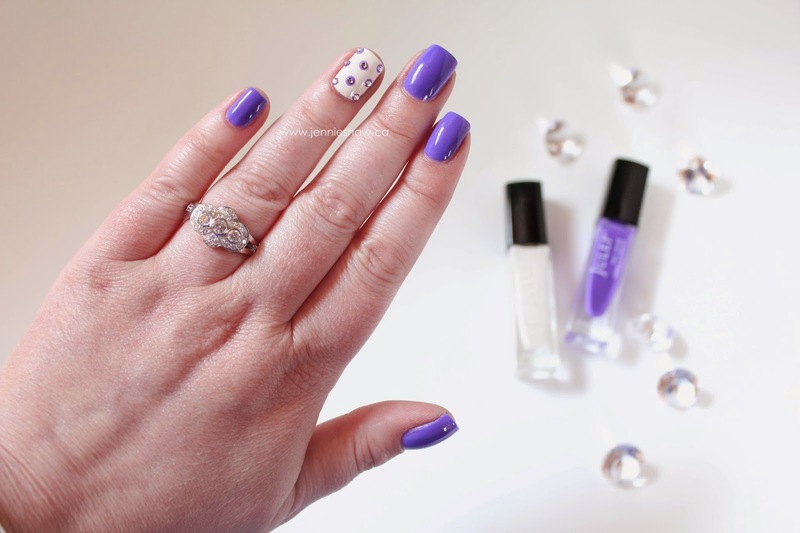 And don't forget to link up your manis from this week! You are so freaking creative all the freaking time. I kind of hate and love you for it! I hate that vanna was a nightmare for you--it was a dream for me!! Strange how that works out! I only did 2 coats and it applied wonderfully! Maybe just an off bottle for you? Either way, LOOOOOVE this mani! Hello, Denise! I love a vibrant orchid purple like that. Yay! Wanna sounds like a not-worth-it. But good that Julep isn't rocking every polish, or I'd get suspicious. May Flowers is an excellent theme! There's plenty of nail art tutorials out there around flowers, so that leaves a lot open. Maybe this is the excuse I need to try roses...hrmm.....(trying to nail art peonies and whatever else is blooming right now would probably drive me batty). Thanks! OG MY GOSH this is so freaking adorable!!!!! I'll have to try it on myself.